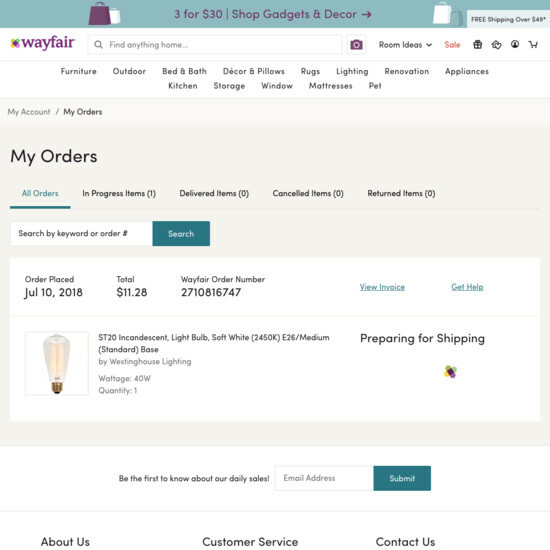 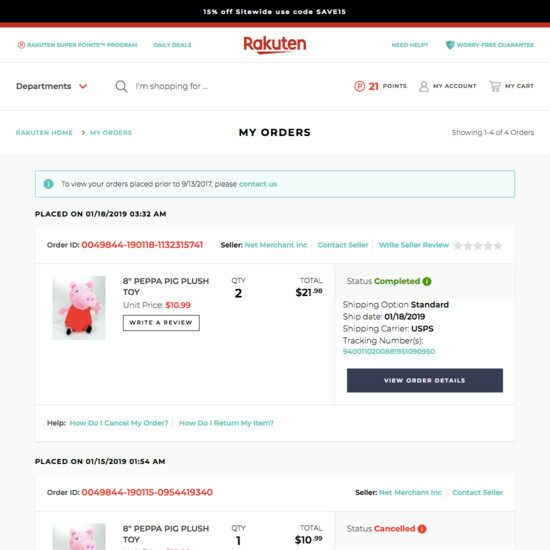 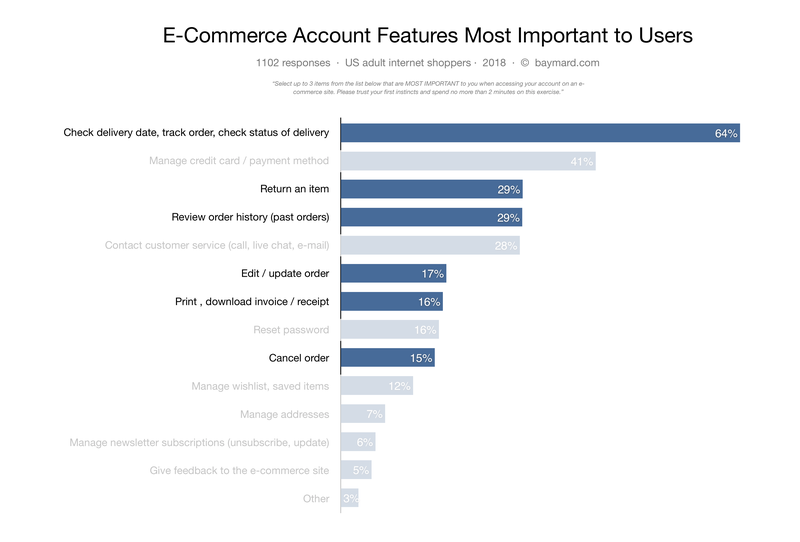 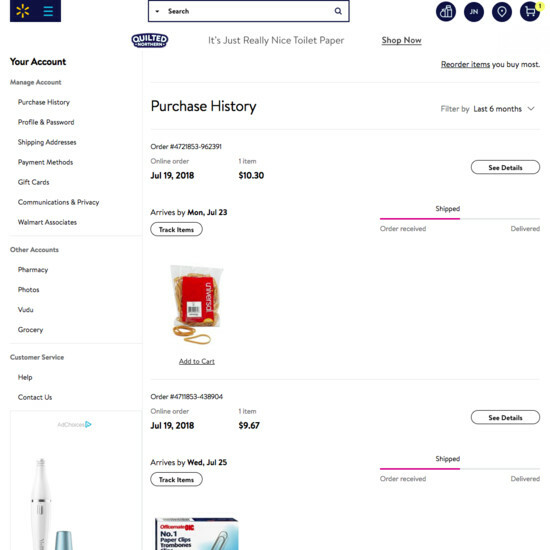 Both our large-scale qualitative usability testing and quantitative studies of Accounts & Self-Service feature at e-commerce sites show that users come to “Orders Overview” pages with many different intents and mindsets – beyond just tracking an ongoing open order (64%). 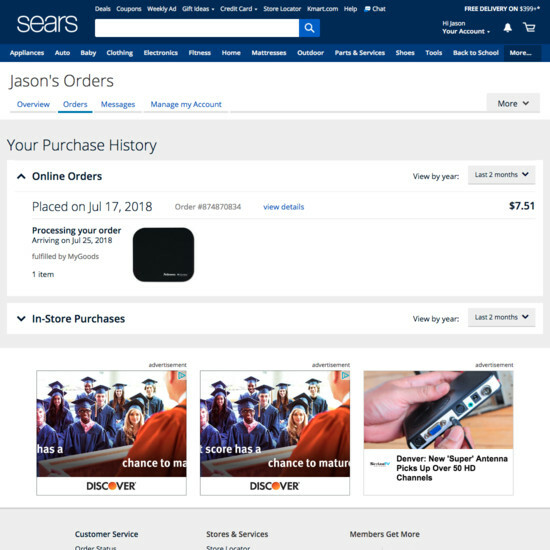 Other top reasons include initiating a order return (29%), reviewing order history (29%), editing an ongoing order (17%), downloading an invoice/receipt (16%), and to cancel an order (15%). 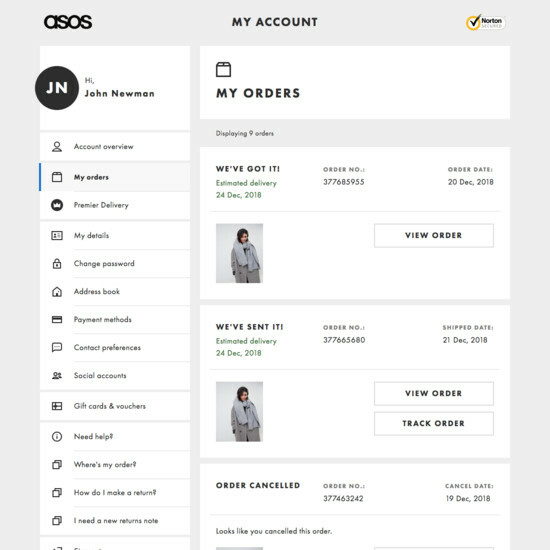 In testing we observe that the many different intentions users have with visiting the Orders Overview page consequently set strict requirements and limitations for the overall page design and features available. 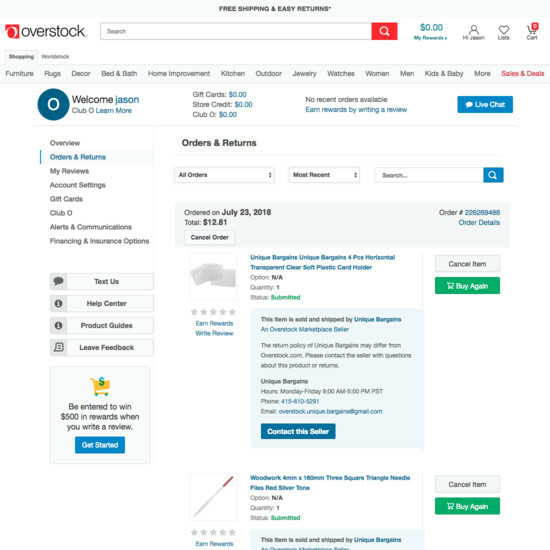 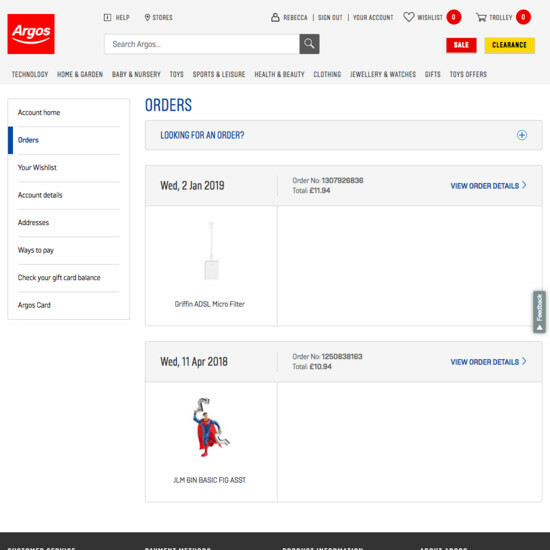 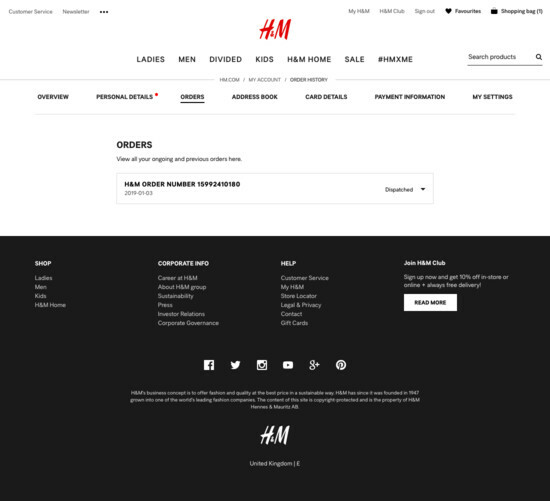 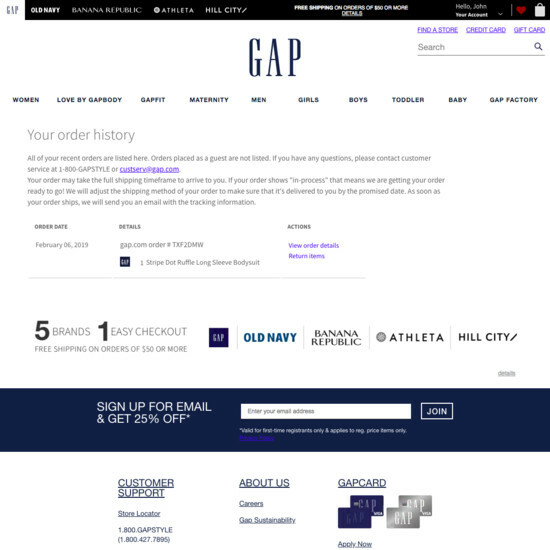 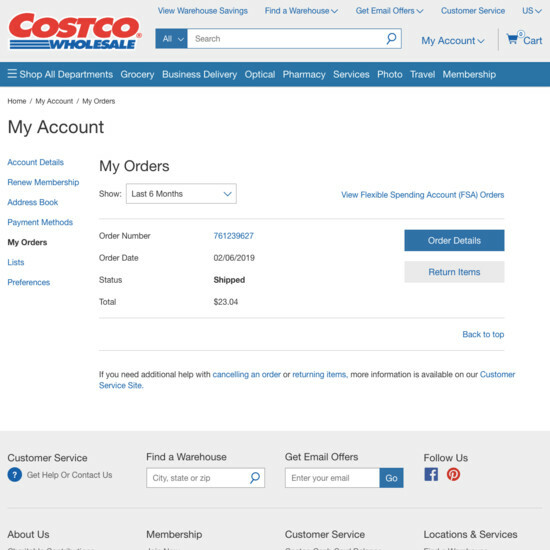 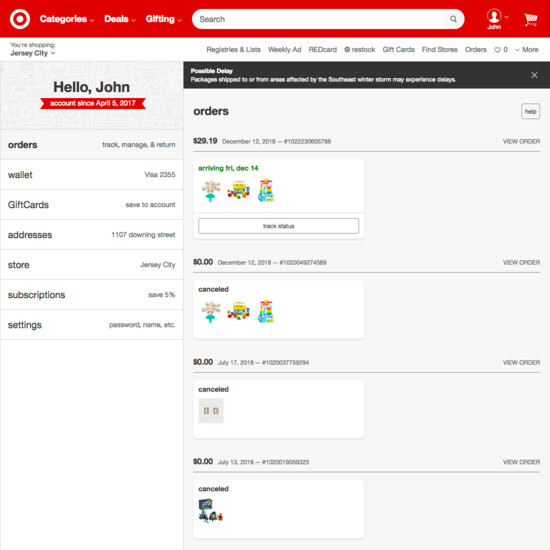 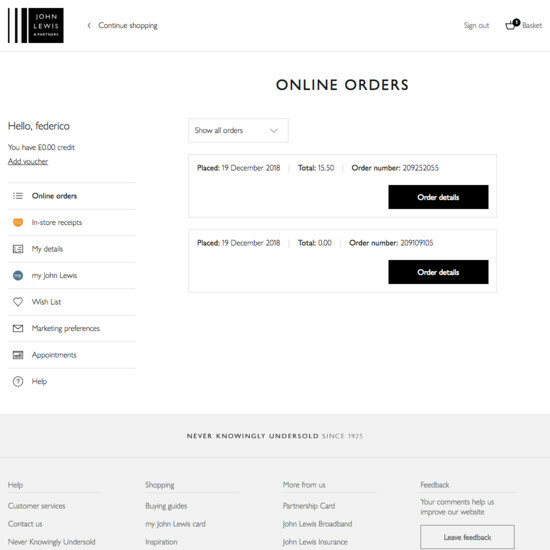 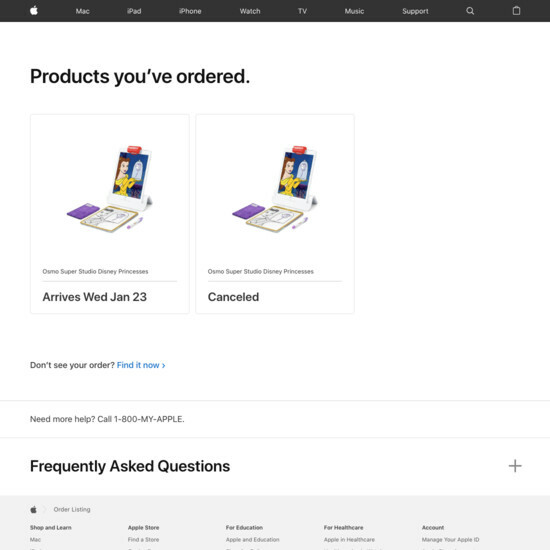 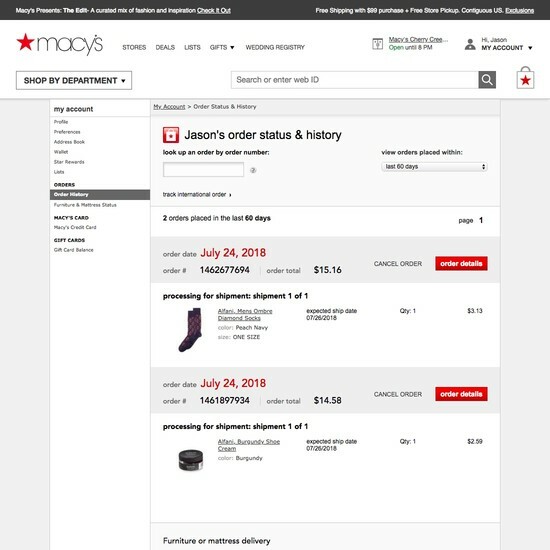 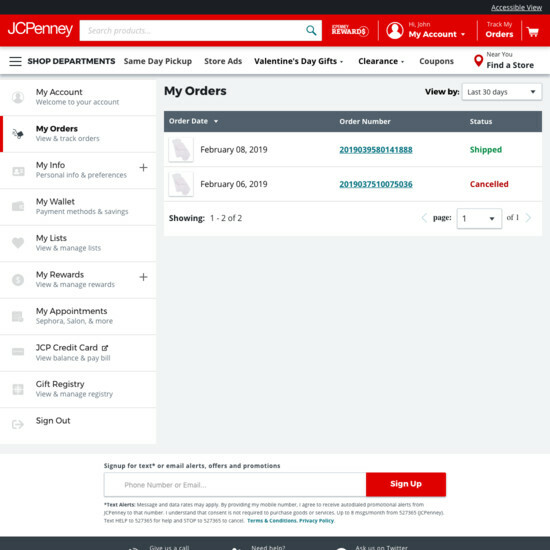 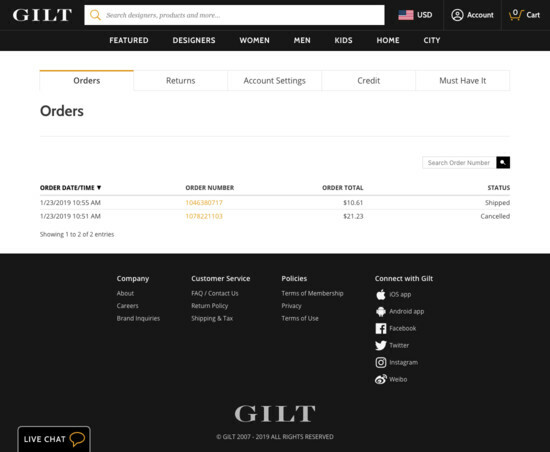 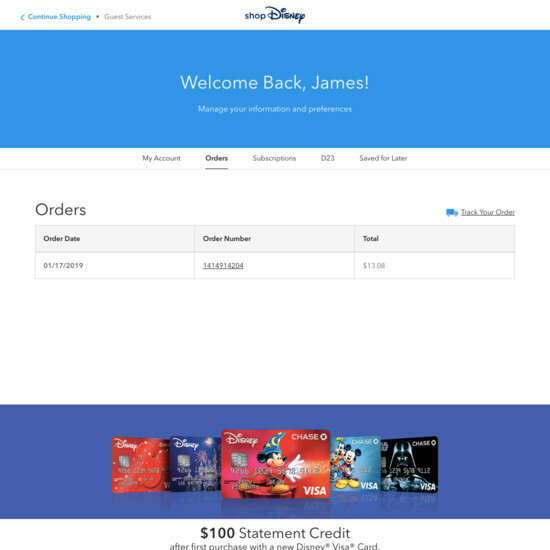 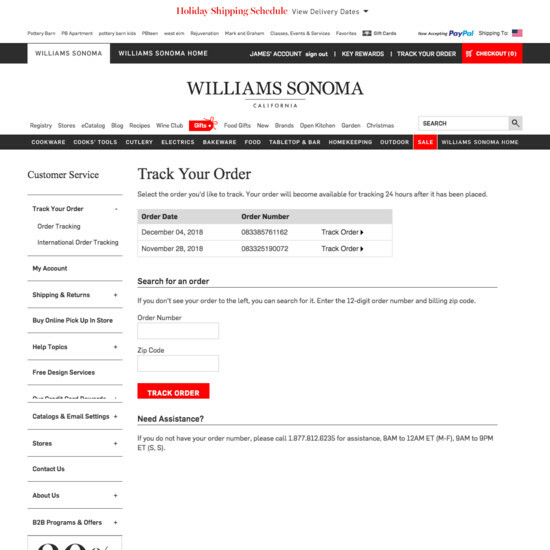 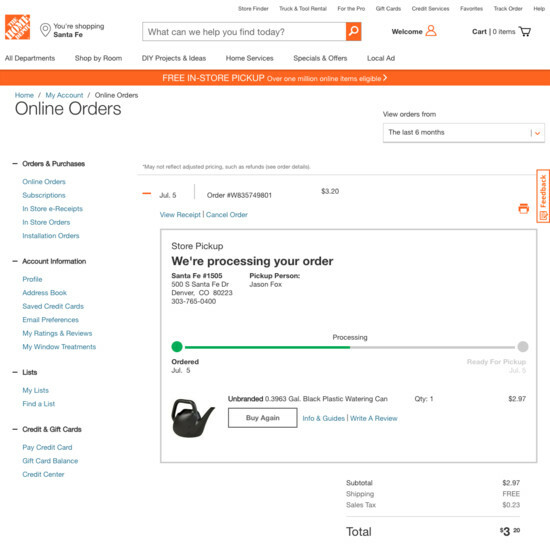 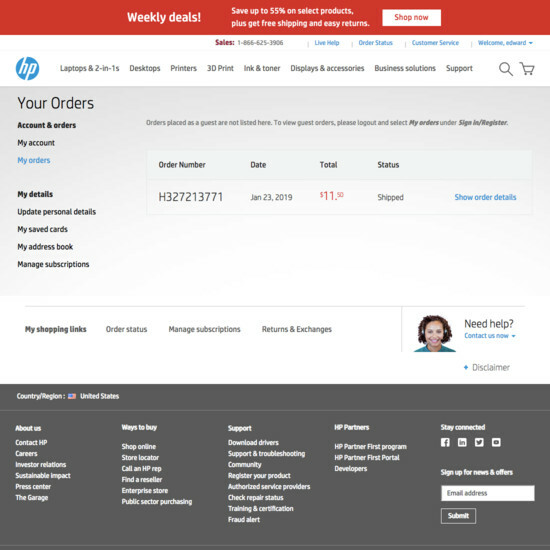 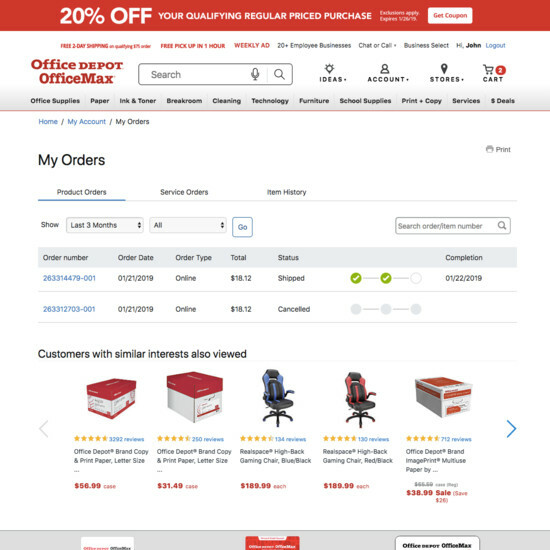 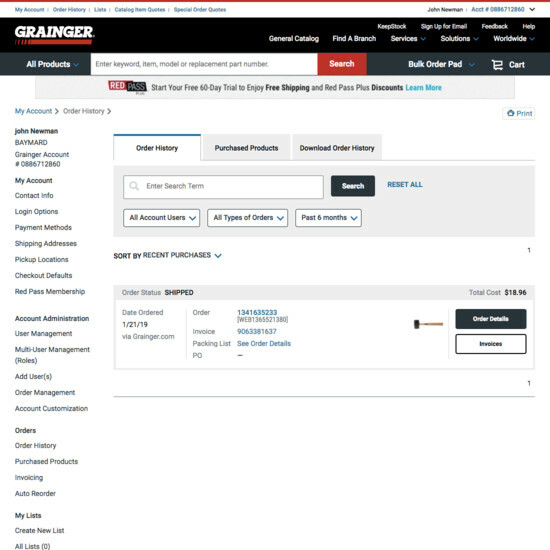 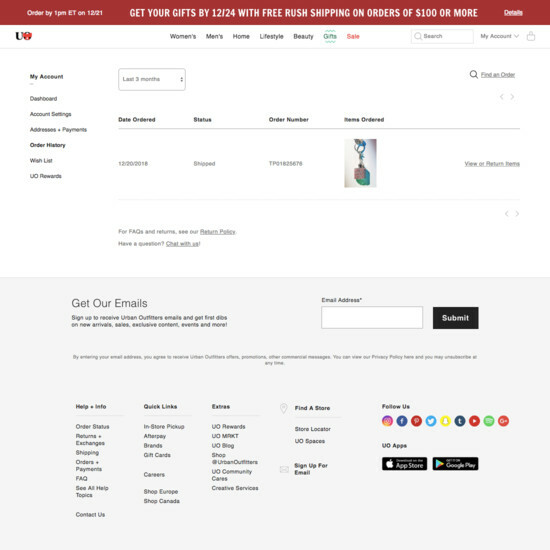 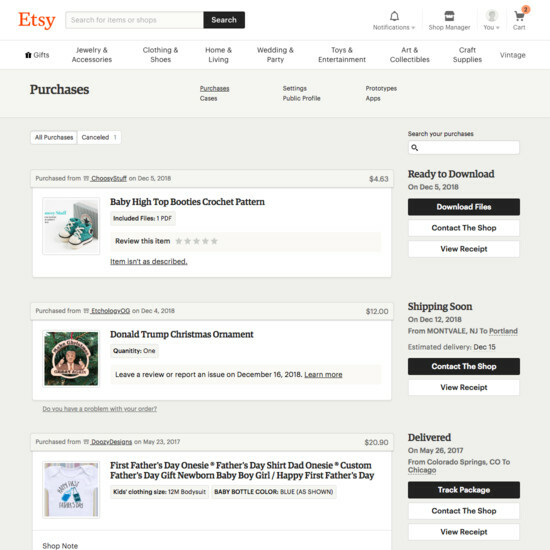 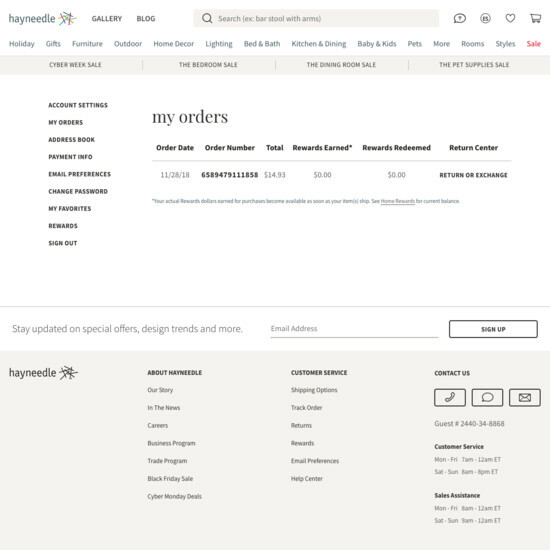 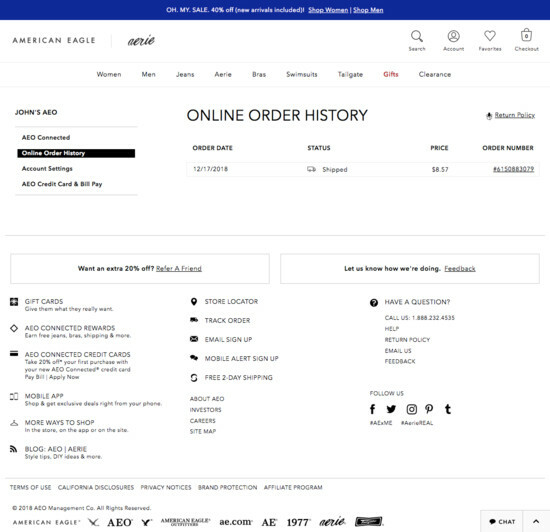 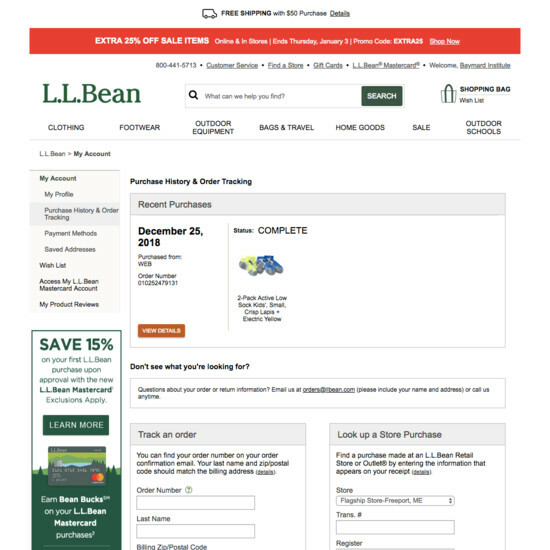 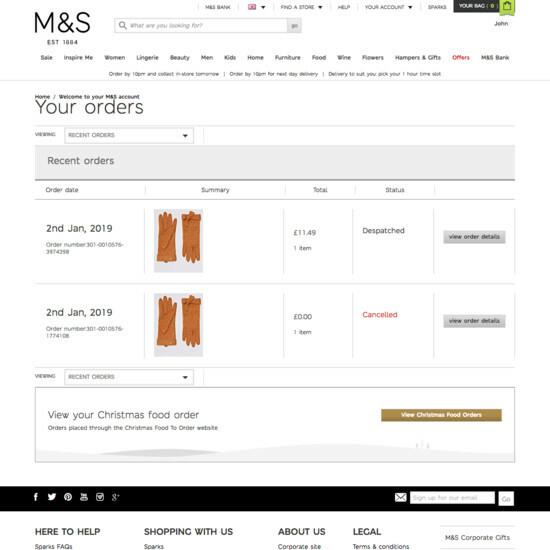 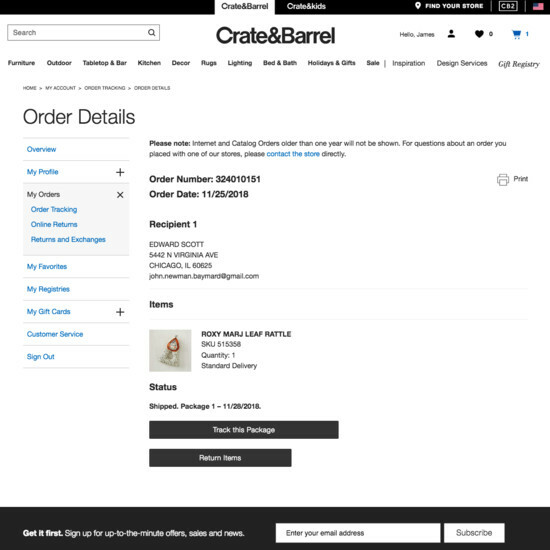 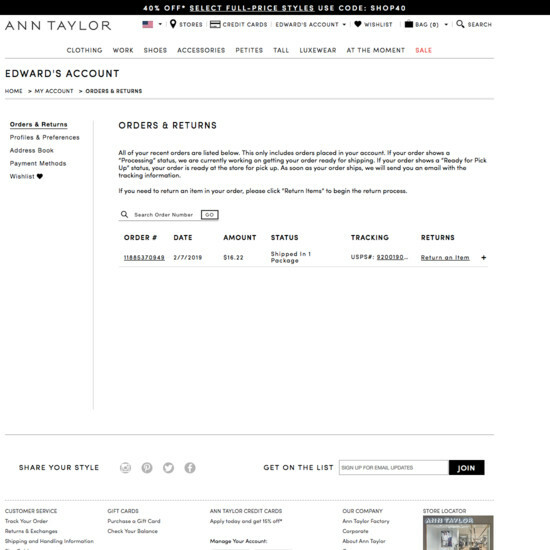 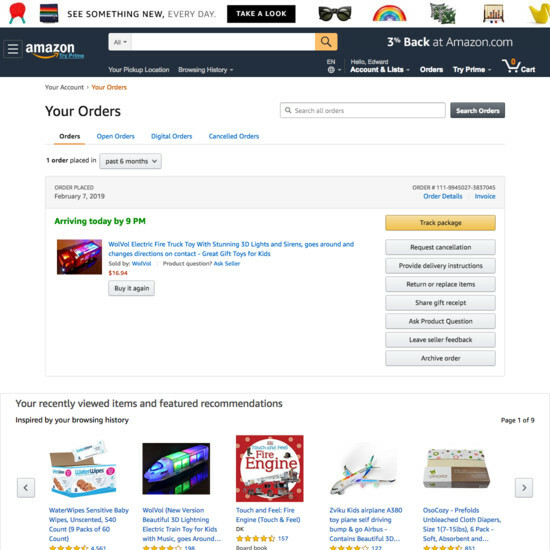 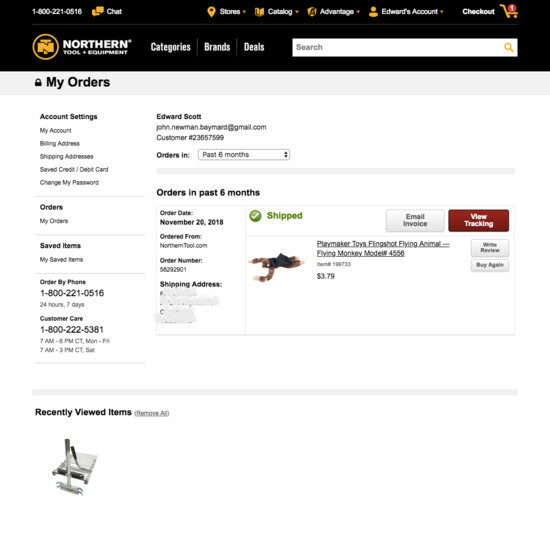 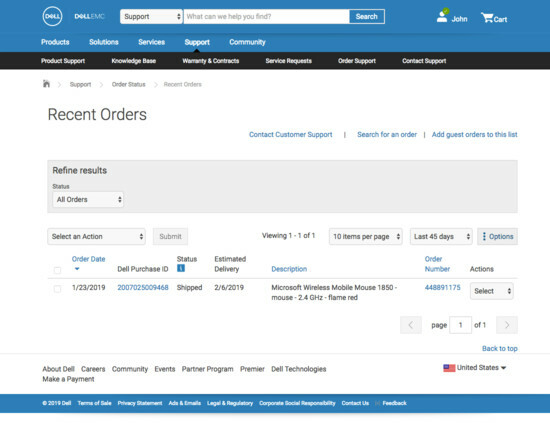 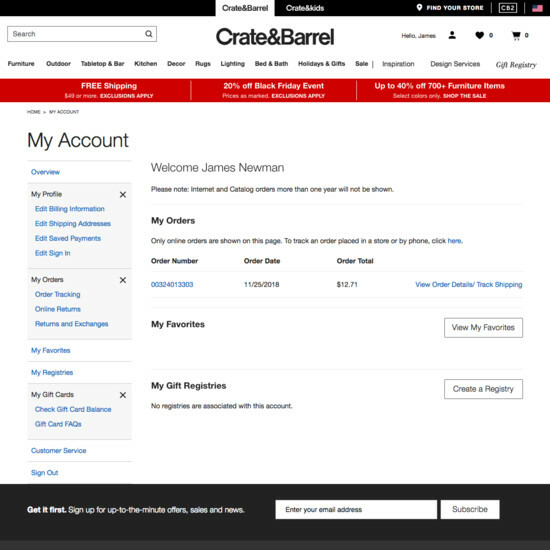 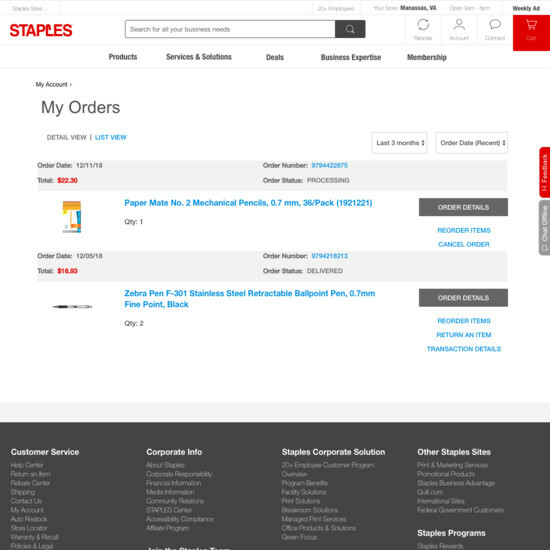 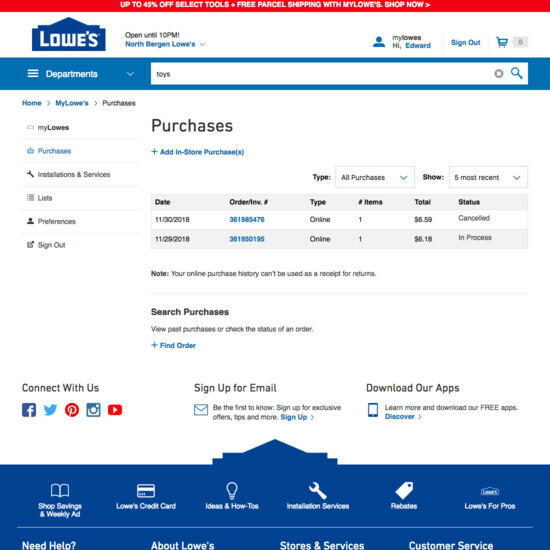 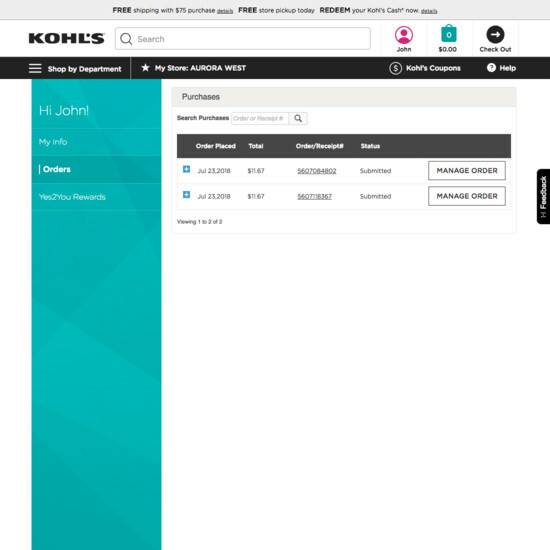 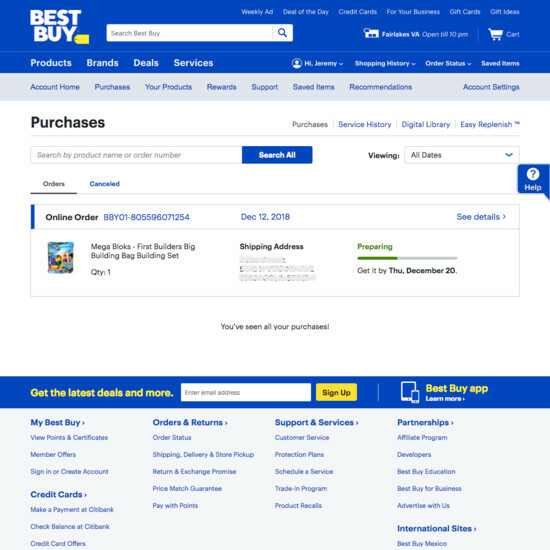 You may also want to see our related Page Designs for “Order Tracking Page” design examples. 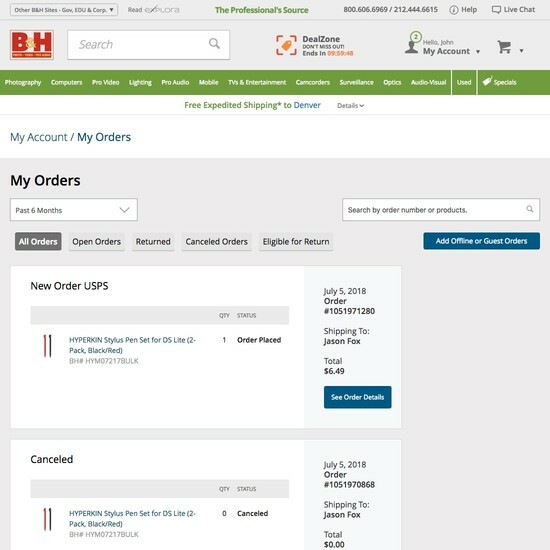 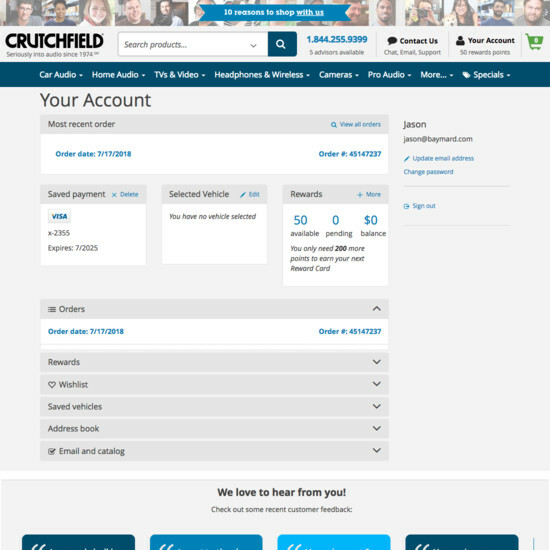 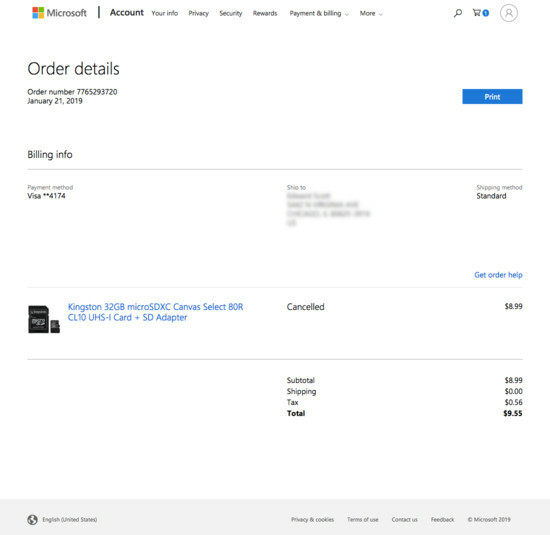 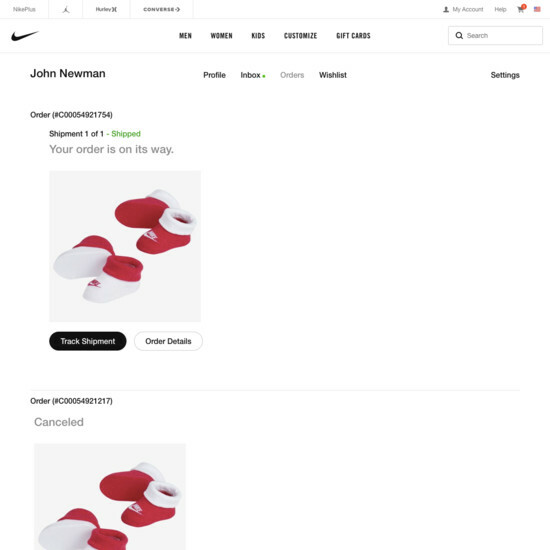 Learn More: Besides exploring the 43 “Orders Overview” design examples below, you may also want to read our related articles on “Have a ‘Cancellation Requested’ Order State” and “New Research Findings on ‘Accounts & Self-Service’ UX”.